Singapore – On January 25, NSmen received text messages stating that the IPPT, IPT and RT were cancelled indefinitely, to give way for a safety timeout that was implemented by the Singapore Army in response to the death of Alosysius Pang. The safety timeout has now been progressively lifted starting January 31, 2019, while the IPPT (Individual Physical Proficiency Test) and small arms live firing will resume starting February 7, 2019 (Thursday). Other activities that have more risks will resume after safety reviews. NSmen who were not able to book a schedule for their IPPT during the safety timeout will not be penalised. 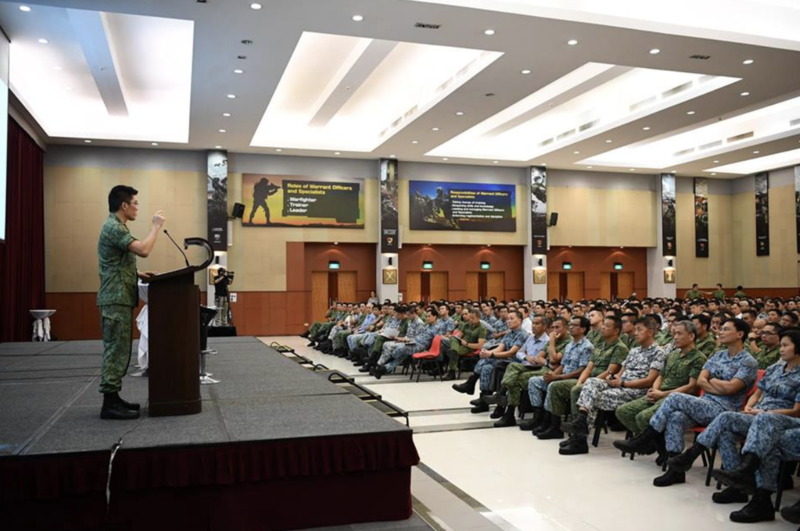 He also said that this emphasis on safety will be cascaded down to all units across the Singapore Army, Navy and Air Force. As for the death of Aloysius Pang, the Ministry of Defence (MINDEF) has appointed a judge that was nominated by the State Courts to serve as chair of the Committee of Inquiry (COI). From there, findings and recommendations will be given by the independent panel. “In the meantime, the SAF must continue to strengthen its safety systems, starting from the very top to reach the last soldier on the ground”, added the Minister of Defence. Furthermore, a new Inspector-General’s Office has been set up which has the full authority to scrutinise and enforce safety processes in the SAF.